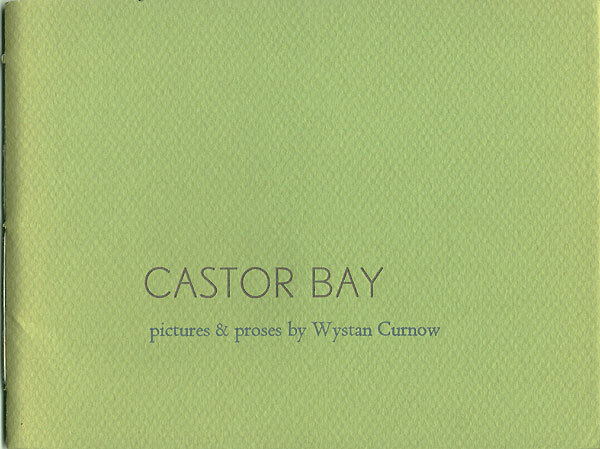 While these short prose pieces are from Wystan Curnow's early work (1979), the pictures (in blue/grey/green) were developed seventeen years later in 1996. They are simply constructed from a single rectangular zinc block found at the Press. 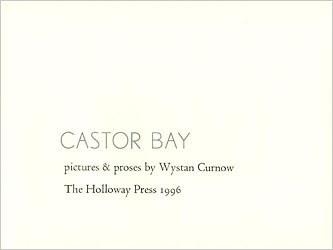 The first in the Holloway Poetry Series, which features writers who are either seldom published, or not published at all in book form to date, Castor Bay is designed by Alan Loney, but handset and printed by Peter H. Hughes as part of a training programme under Loney's supervision. 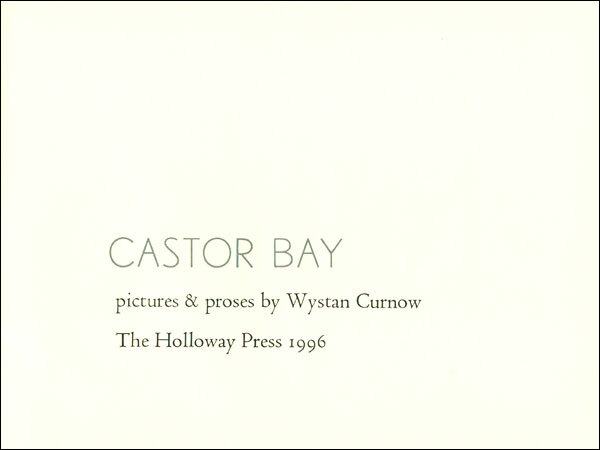 The book is handset in Centaur and Berthold Light types and printed on a Littlejohn cylinder proof press. The paper is Mohawk Superfine, with Canson Mi-Teintes soft covers, handsewn. The pictures are in three colours with black text. 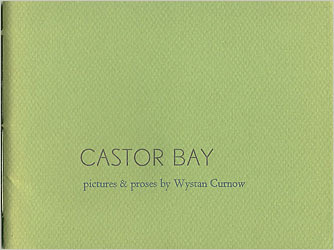 Format (landscape): 125x165mm,  pages. Edition: 100 hand-numbered copies.